I came across this delightful little bread recipe over the weekend. It came up on my Facebook feed, and it jumped out at me immediately. This is an unbelievably simple and delicious five ingredient bread from Taste of Home. That's right, this isn't my recipe. I wish I could take credit, because it's so awesome. Seeing this on Saturday was perfect, because it has been awhile since I baked bread, and I haven't participated in a Taste of Home Tuesday since last year. So here we go..... if you're scared of bread, don't be. 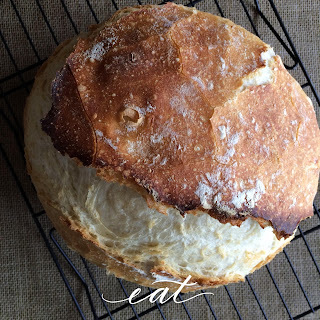 I've made lots of it, and this is one of the simplest (yet best) bread recipes I can recall! The outside is so crispy, and the inside is so soft and chewy. 1. In a small bowl, dissolve yeast in water. In a large bowl, mix 3-1/2 cups flour and salt. Using a rubber spatula, stir in yeast mixture to form a soft, sticky dough. Do not knead. Cover with plastic wrap; let rise at room temperature 1 hour. 2. Punch down dough. Turn onto a lightly floured surface; pat into a 9-in. square. Fold square into thirds, forming a 9x3-in. rectangle. Fold rectangle into thirds, forming a 3-in. square. Turn dough over; place in a greased bowl. Cover with plastic wrap; let rise at room temperature until almost doubled, about 1 hour. 4. Dust bottom of a disposable foil roasting pan with cornmeal. I used a stoneware dutch oven with a lid. Turn dough onto a floured surface. Knead gently 6-8 times; shape into a 6-in. round loaf. Place in prepared pan; dust top with remaining 1 tablespoon flour. Cover pan with plastic wrap; let rise at room temperature until dough expands to a 7-1/2-in. loaf, about 1-1/4 hours. One hour was plenty for mine. 5. Preheat oven to 500°. Using a sharp knife, make a slash (1/4 in. deep) across top of loaf. I forgot this step, so mine wasn't as pretty and really cracked open on one side, but that's ok! Cover pan tightly with foil. Bake on lowest oven rack 25 minutes. 6. Reduce oven setting to 450°. Remove foil; bake bread 25-30 minutes longer or until deep golden brown. Remove loaf to a wire rack to cool. Yield: 1 loaf (16 slices). 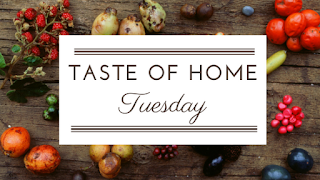 Enjoy, and please take some time to check out all of the other Taste of Home recipe reviews, below! 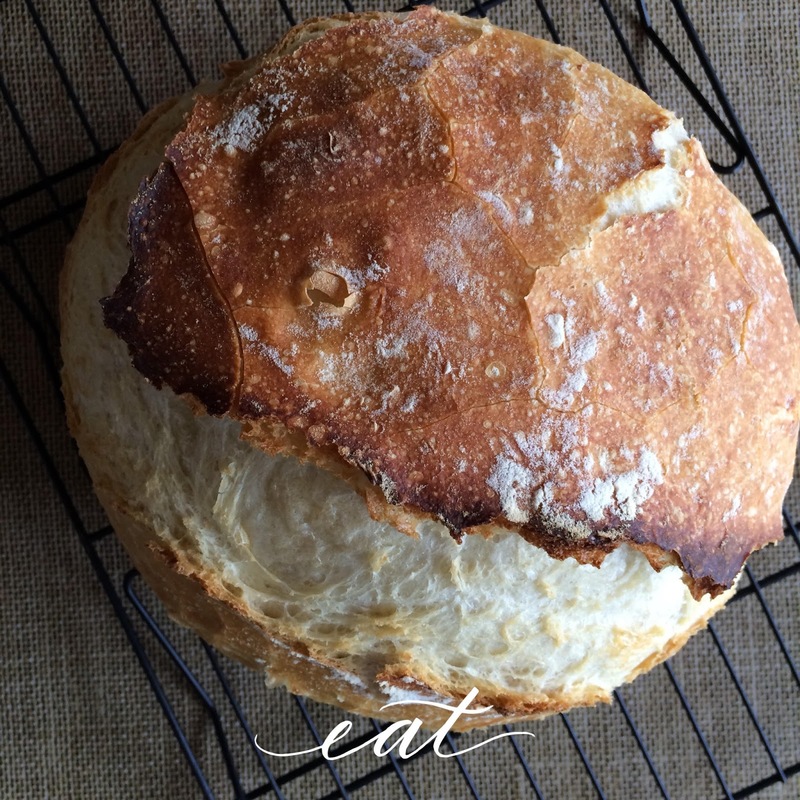 I'm becoming more comfortable using yeast so I love easy bread recipes. 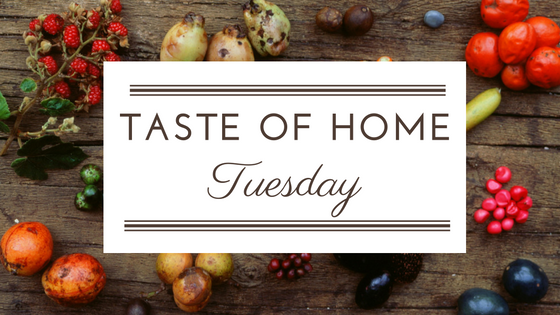 Glad you could join us for TOH Tuesday. Can't wait to try this recipe. This sounds so good! Love a Christy homemade bread. Your bread turned out beautiful!